Give Yourself a Health Boost by Choosing an Omelet – A Breakfast Classic! Whether you are choosing an omelet for breakfast or lunch, it can be a healthy, protein-packed meal choice. Delicately cooked with a wide range of tantalizing ingredients, these protein-rich eggs are usually a top-seller at any breakfast restaurant in Colorado Springs. The yolk of a whole egg holds many of the vitamins and minerals while the egg white contains lower fat, calorie, and cholesterol option for protein. Here are a few tips to order the healthiest omelet for your breakfast. Add more flavor and nutrition to your omelet by including a variety of veggies such as bell peppers, onions, tomatoes and more. Omelets can become the worst choice for a healthy breakfast if it is loaded with gooey cheese. So, requesting less or no cheese cuts down a considerable amount of calories and saturated fat from your diet. Make lower fat and calorie choices by adding lean meat including ham, or sausage that adds more flavor and nutrition to your omelet. To round out your breakfast add a whole grain toast and fresh fruit juice adds filling fiber, vitamins, and minerals to your healthy diet. The American Journal of Clinical Nutrition reports that people who eat a high-protein breakfast feel full for a longer time compared to those who have a low-protein breakfast. So, it also aids in your weight loss journey. So, what are you waiting for? Order your favorite omelet in our breakfast cafe in Colorado Springs to get “egg-cited” over and start your day with abundant nutrients! Previous: Previous post: Explore and Taste a Little History of Your Favorite Breakfast Food – The Pancake! 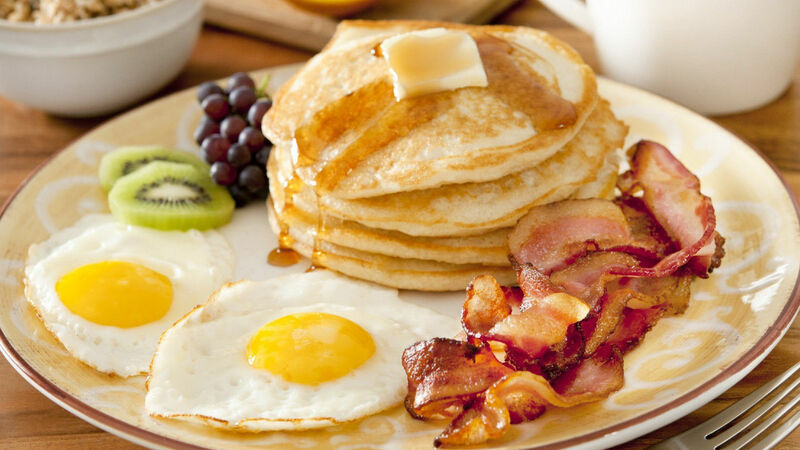 Explore and Taste a Little History of Your Favorite Breakfast Food – The Pancake! © 2019 Wade's Cafe. Powered By Digital Marketing Access.